What makes a perfect shooting range? Each range will most likely have its own set of rules in addition to these. Plenty of ranges do not allow rapid fire. This is when you pop off rounds quickly, one right after the other. A good range will have the four basic safety rules and their rules clearly stated in a highly visible area. Most indoor shooting range has a Range Officer (RO) inside the hot range at all times. He or she should be attentive to everyone’s moves. They are there to keep everyone safe. They should be aggressive enough to stop any unsafe behavior. Further, Range Officers should be knowledgeable enough to offer tips, advice and help if needed. If at any point, people are acting unsafe and no one is doing anything about it, leave the range immediately. It probably isn’t a place you want to return. Each shooting bay should have a shelf or table to rest your gun while you reload magazines or change targets. This will remind you to keep your gun’s muzzle pointed down range at all times. Further, you can keep ammunition, magazines and other gear on the table. Every indoor range has a computerized, mechanical target retrieval system; however, some outdoor ranges do not. At an outdoor range that does not have any type of target retrieval, you must be diligent when noticing the range is hot (people are firing) and when the range is cold (weapons down, chambers empty and fingers completely off the trigger). To replace targets, the RO will yell commands to cease-fire so you can change out targets. This means you will have to cross the firing line. Depending on your level of comfort with this system, it is best to ask the range in advance if you must cross the firing line to switch out targets. 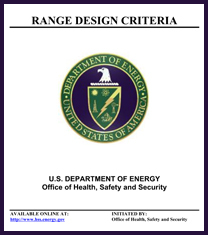 The governing bodies of the National Institute for Occupational Safety and Health (NIOSH), Environmental Protection Agency (EPA) and Occupational Safety and Health Administration all have rules, regulations and recommendations for shooting ranges. These organizations are concerned with employees, clients and the environment’s health due to lead and noise exposure. Unless you purchase lead-free ammunition, the primer in your ammo most likely contains lead. Firing the gun releases gases from the ammunition and some will blow back in the direction of the shooter. Even more lead gets released when the bullet hits the target and backstop. NIOSH and OSHA regulate lead exposure. 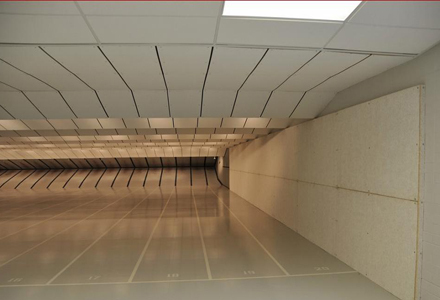 Therefore, a responsible gun range will have a high-quality air ventilation and exhaust system using HEPA filters. The systems installed must meet NIOSH and OSHA requirements. If a gun range is too smoky or smelly, it might have an inadequate system. Inhaling the air and touching lead bullets or eating, drinking or smoking right after shooting can possibly expose you to damaging levels of lead. The range should not allow drinks or food inside the firing range. Further, a sink with warm water should be available at all times so you can wash your hands, arms and face right after shooting. Lead dust will settle in carpets and may cause a health hazard. The firing range and adjacent rooms should have concrete or tiled floors. 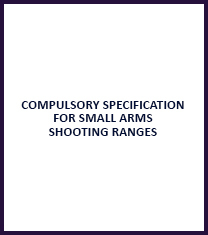 Outdoor ranges are not required to have a filtration or exhaust system, however they should provide fans to direct air away from the shooting bays, especially if the outdoor range has concrete walls and overhead baffles. Outdoor shooting ranges must abide by the EPA’s Resource Conservation and Recovery Act (RCRA) and the Clean Water Act (CWA) in dealing with hazardous waste. Read the guidelines and the EPA’s recommended best practices. we do tend to judge a book by its cover and when you first walk into a gun range we make a quick, however inappropriate, judgment about the place. If you can’t walk without stepping on brass, the place probably needs some attention. Does the range keep up with repairs? Are there multiple holes in the walls or ceiling? A good shooting range will be on top of maintenance. If you don’t know where to go, start asking people you know who shoot to recommend a range. 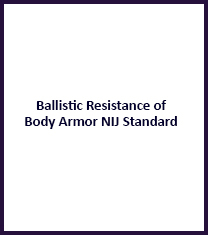 Search your local firearms forums for suggestions. The National Shooting Sports Foundation (NSSF) has a list of five- and four-star gun ranges based on appearance, customer/member focus, customer/member development, management, community relations and amenities.